We were invited to show our Roadster at the San Juan Concours d'Elegance again this year. We had a great time at the 2009 show, and not just because Cathy won an award. 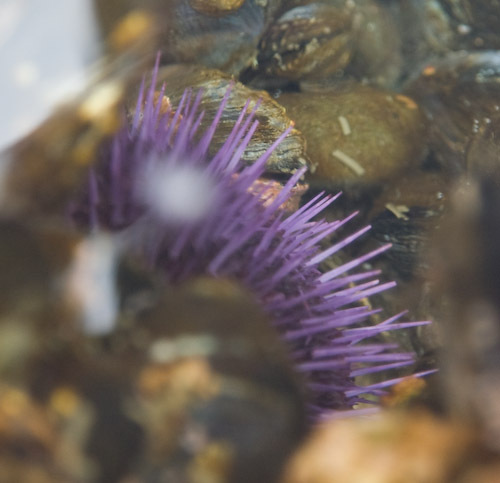 As long as we were venturing out to the islands, we extended the plan to include Lopez Island and Vancouver Island, spending a week "island hopping" at the end of August and beginning of September, 2011. 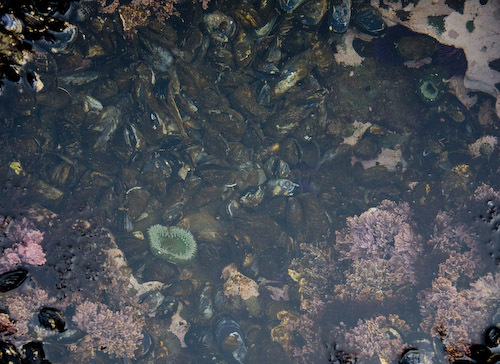 Our journey began with a bit of misadventure. As advised, we showed up an hour early for the 12:30 ferry, 11:25 in fact. When we pulled up to the booth the attendant asked us, "how would you feel about the 5:10 ferry?" 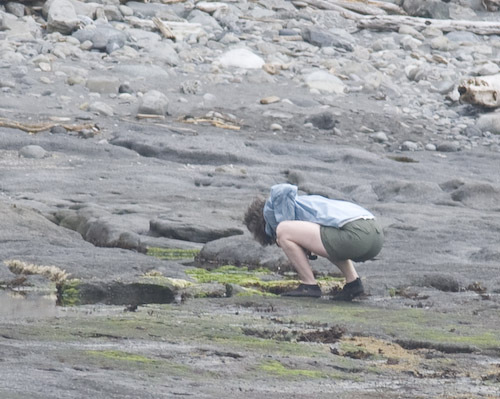 I thought she was kidding. She wasn't. 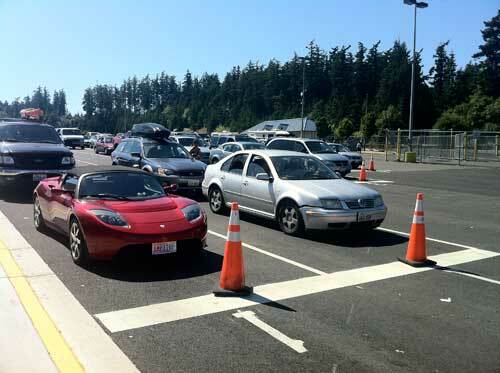 We were the first car that didn't make it onto the 12:30 ferry. So we got to kill 5 hours at the ferry terminal. 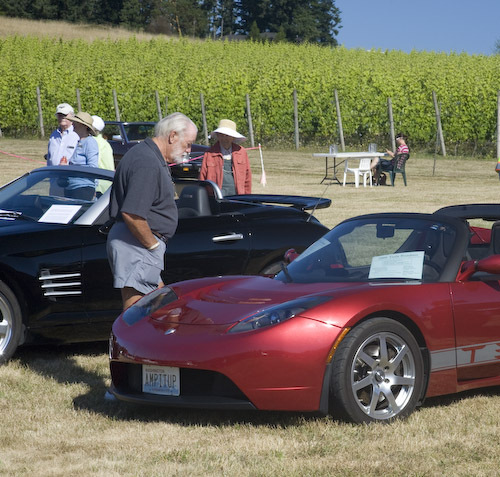 As in 2009, Dave Denhart joined us at the show with his yellow Roadster. John Henderson jumped in to add a Canadian presence and a third color. Here we are spiffed up and ready to go just before the show opened. For this show, we had some window clings printed up for the car to answer the basic questions, which is especially handy when there are too many people crowded around the car to talk to everyone. After the show, we stayed an extra day to tour the island. 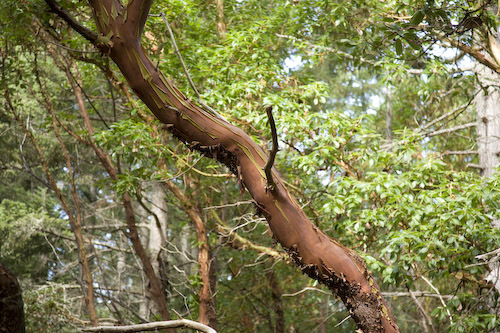 These trees were shedding their red paper-like bark, exposing a smooth green layer below. The hike up Young Hill has a couple of amazing lookout points. 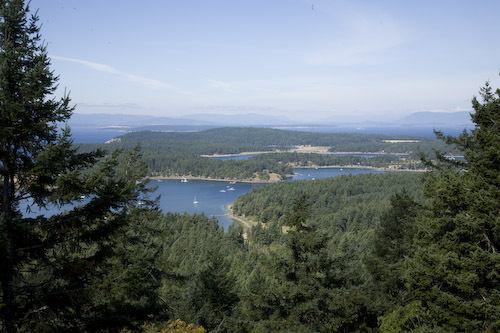 Here's a view of the northern San Juan Islands, the Canadian Gulf Islands and Vancouver Island. 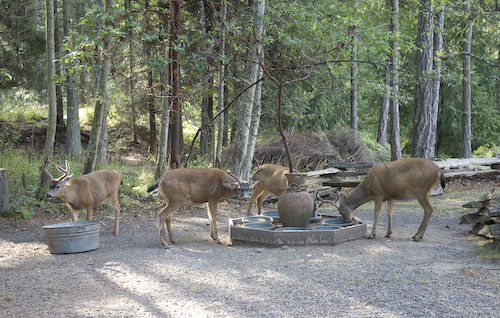 Deer feeding at the lovely Wildwood Manor. 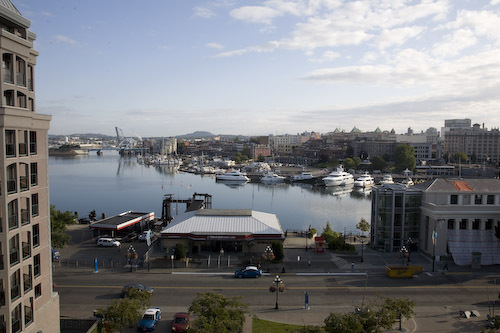 We spent two days in Victoria, found a couple of great places to eat (The Joint and Rebar), and enjoyed a beautiful view. 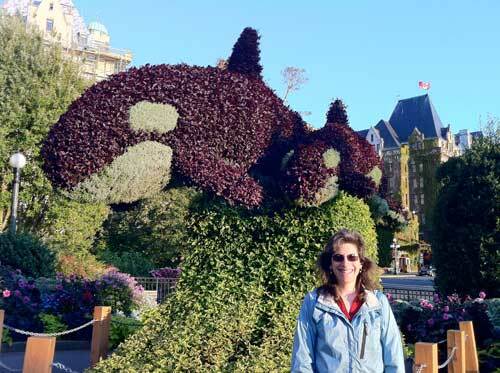 Cathy was quite enamored with this giant orca topiary. 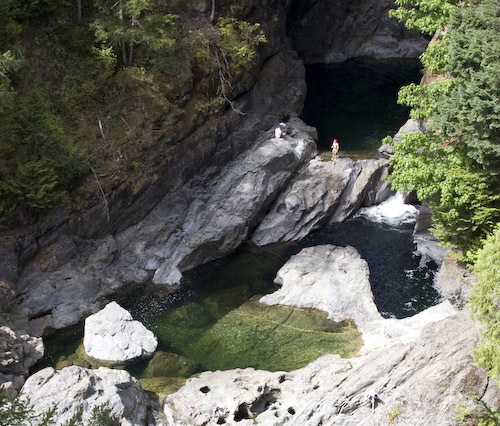 On the way to our final destination for the trip, we stopped to see the Sooke Potholes. 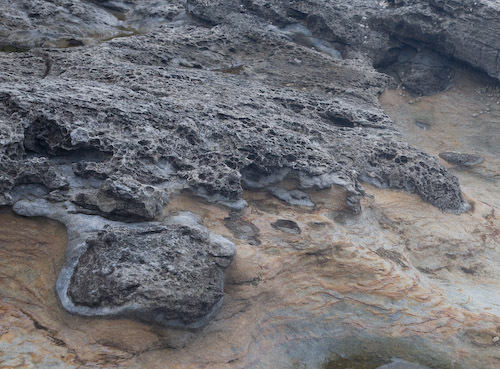 Despite the unappealing moniker, the cavities carved into rock form a series of beautiful pools and waterfalls. 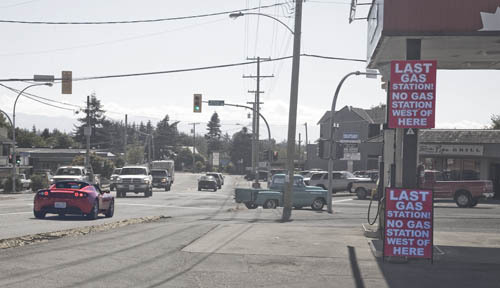 As we drove through Sooke, we noticed this gas station with the scary warning signs. 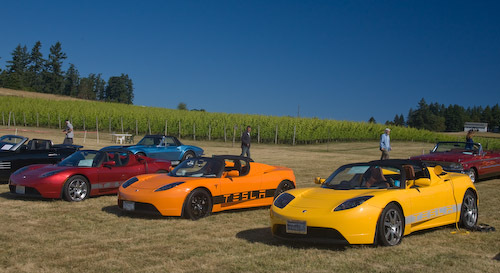 We just drove past knowing that there would be plenty of outlets west of Sooke! 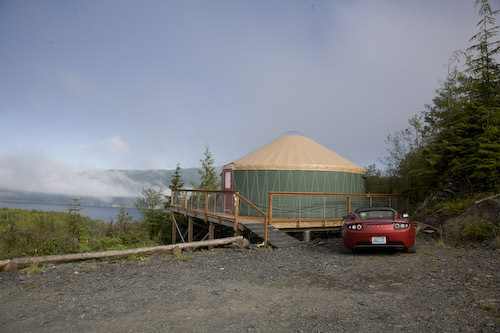 45 miles from the "last gas station" we plugged into the outlet outside our yurt at Soule Creek Lodge and charged up overnight. What could be simpler? 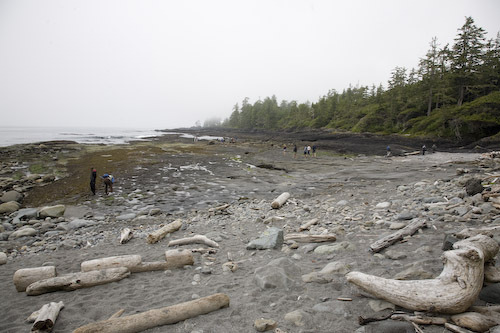 Near Port Renfrew is Botany Bay and Botanical Beach. 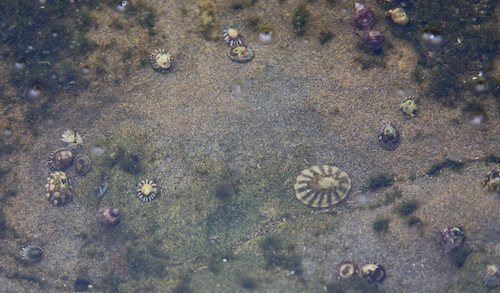 We timed our visit to be there near low tide so we could check out the tide pools. We did the entire 450-mile trip using only ordinary 120V outlets at the hotel and B&Bs. Picking up 50 miles of range overnight was enough to cover our daily driving and get us back up to fully charged for the 170-mile trip home on the last day. Tom wrote a blog entry with the details of our charging during this trip, including a nice graph showing how our state of charge changed as we drove and charged over the course of the week. Check it out!